Wii or Gamecube, which do you prefer? 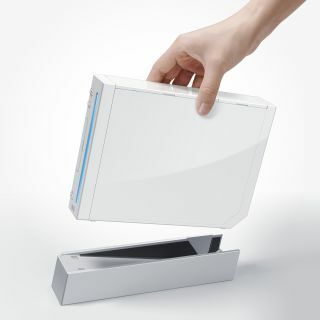 A recent study of 17,000 gamers has shown that the Nintendo Wii is as commonly used as its less-popular predecessor, the GameCube. Although the study consisted of US gamers, it showed that the average session time in a month for the Wii was 58 minutes, where the GameCube, which was released in 2001, still gets 65 minutes of loving. However, the Wii had a higher amount of days being brought out into the light, with an average of 5 days per month compared to 4.5 for the GameCube. The study also threw up some other interesting statistics, namely that the PlayStation 2 is still going great guns as the most popular console (getting 71 mins of usage per session) and Solitaire is the most popular PC game, with over 7 million users in the US, positively thrashing the likes of World of Warcraft, which barely crept over 1 million. But before you start to think spending all that money buying the white box of joy was a complete waste, Nick Ellis, Editor of NGamer, the unofficial Nintendo magazine, says there's a gulf of difference between the Sony, Microsoft and Nintendo camps. "The statistics gleaned from this survey are hardly surprising. Nintendo has successfully marketed Wii to a new audience, and the majority of that new audience is only ever going to play a few frames of Wii Sports bowling once in a while, or the similar family-orientated, quick-play titles that dominate the charts. "These folk are never going to sit down with Metal Gear Solid 4 or Bioshock for a six-hour gaming session," says Ellis. "However, anyone wishing to use the survey's statistics to berate the Wii as being only for the so-called casual gamer should take a look at both recent and forthcoming releases; the likes of Madworld, House Of The Dead: Overkill, Little King's Story, The Conduit and Resident Evil: The Darkside Chronicles to name but a few prove that there are plenty of 'gamers' games' for the console."